Edna Valley Vineyard in Edna Valley is a small yet stunning vineyard with amazing mountain views. 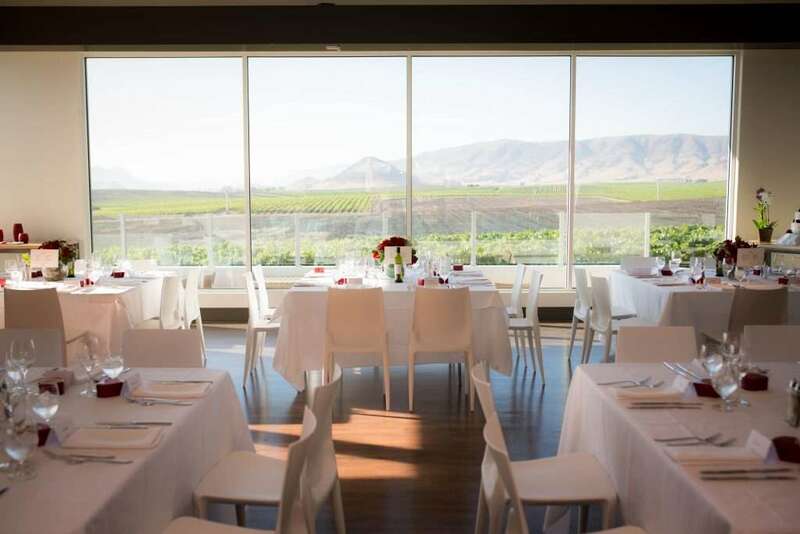 The winery recently remodeled the venue space and it is so beautiful with lots of open space. 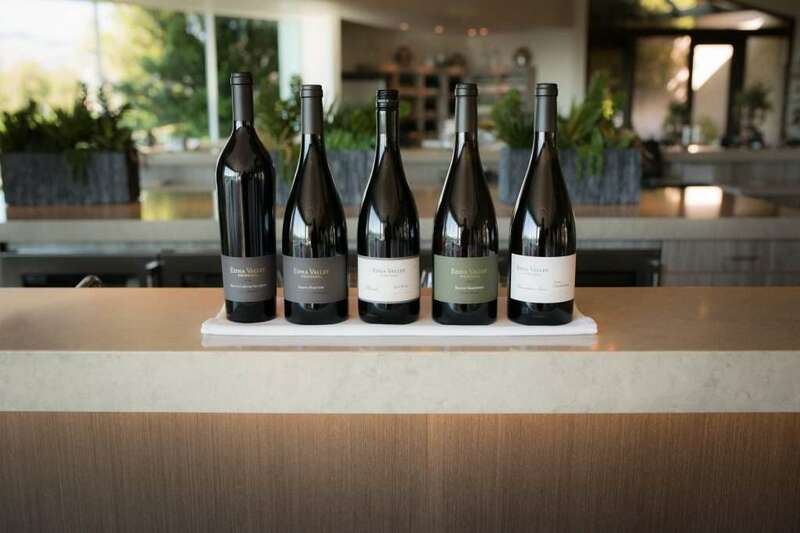 This is a fun place for your next wine tasting day. 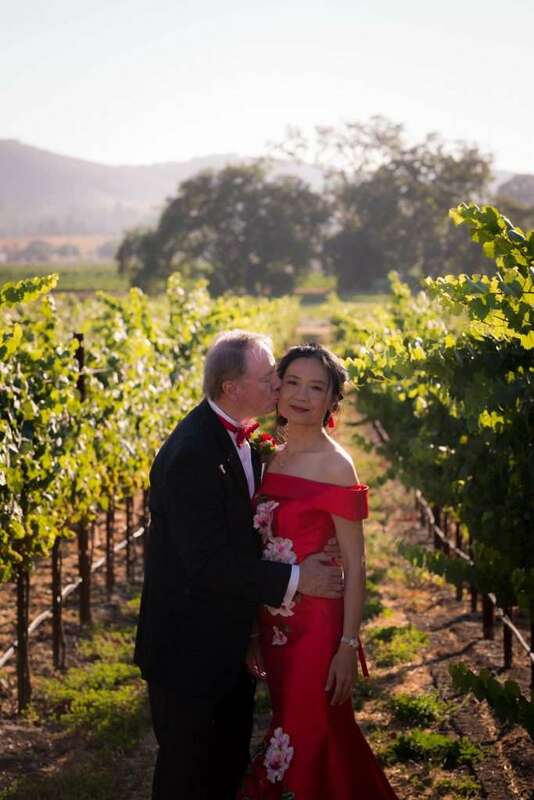 (Be sure to sample their killer oil olive as well in cool wine bottles) Scott and Li choose to have a private wedding at their Church and have their party at Edna Valley. 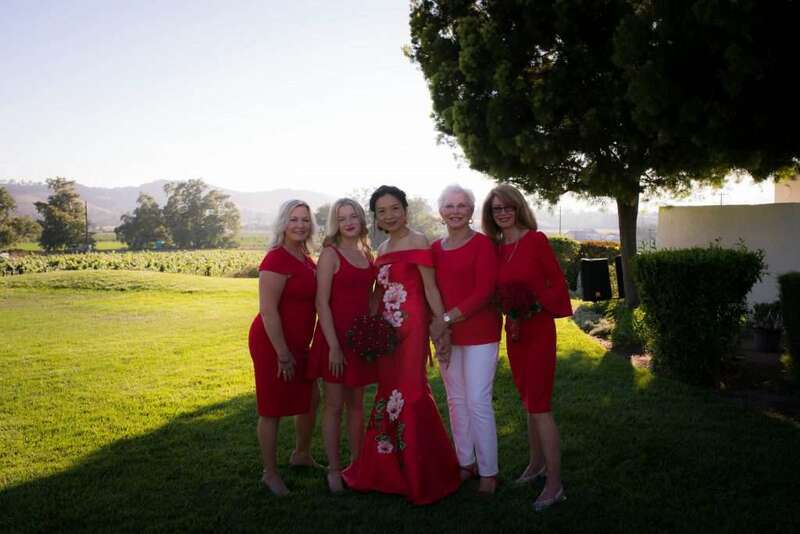 The Bride Li changed out of her white wedding dress into her stunning red gown for the reception. 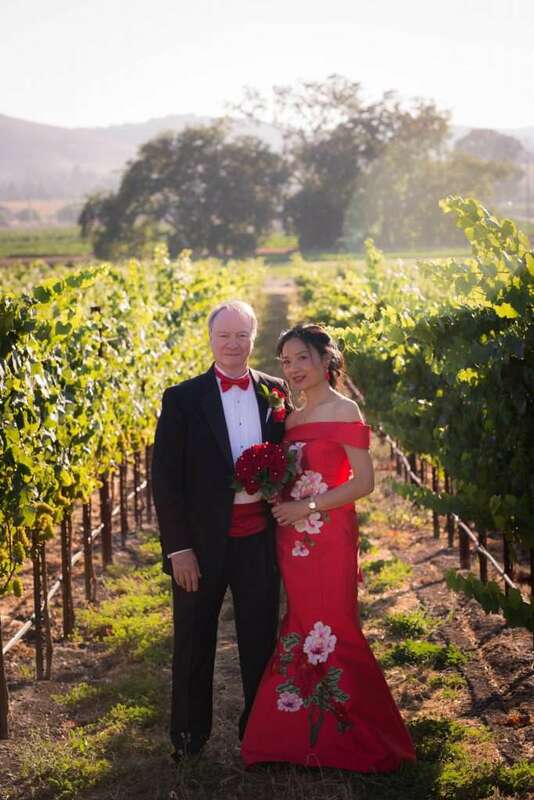 The color was the perfect pop of color for the green vineyard photos. 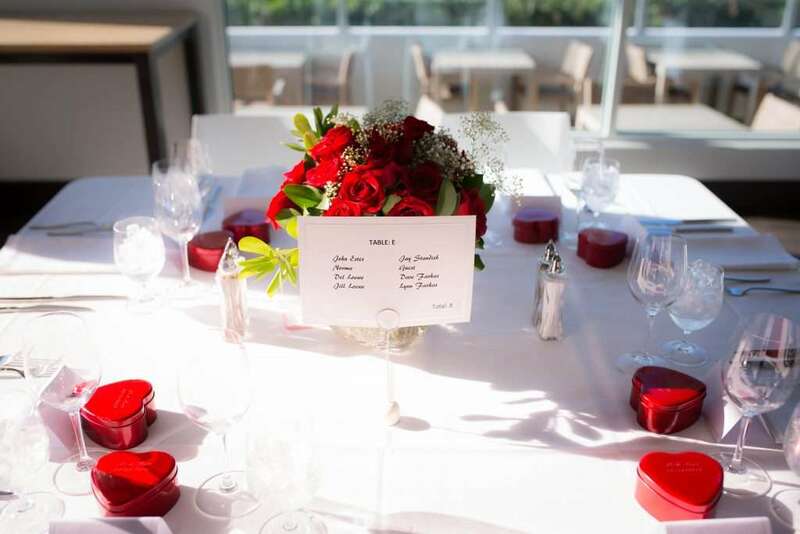 Red beautifully became the theme for this sweet wedding. The talented Bride designed and put together all her flowers and party favors. 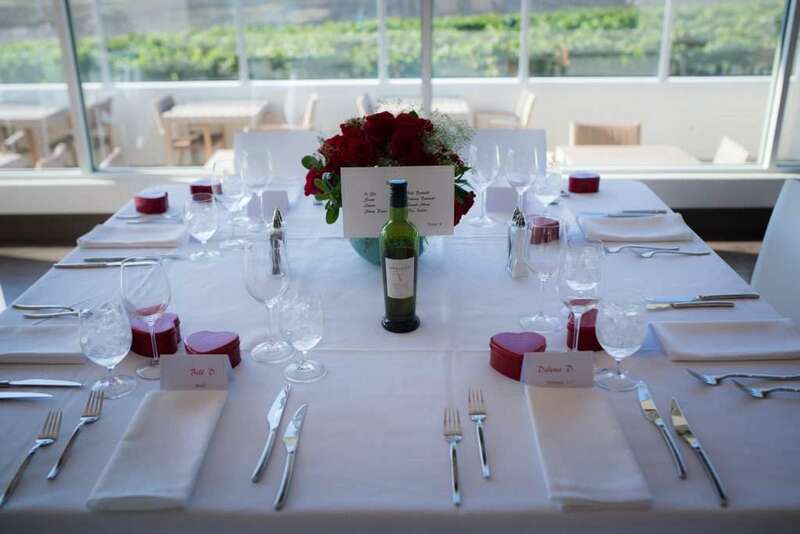 She had red tin chocolate boxes engraved with the date for each guest. The best part of this wedding was the speeches that over 10 people gave. The entire group laughed and cried during the entire 45 minutes of speeches. As a photographer, I love hearing how people met and what attracted them to each other. It’s also very interesting when speeches turn more into roastings. This group was so much fun and never boring. Casey the Events Manager at Edna Valley made sure the day ran smoothly. Her team was very accommodating to all of the wedding guests. Guests loved the wine that Edna Valley has to offer. 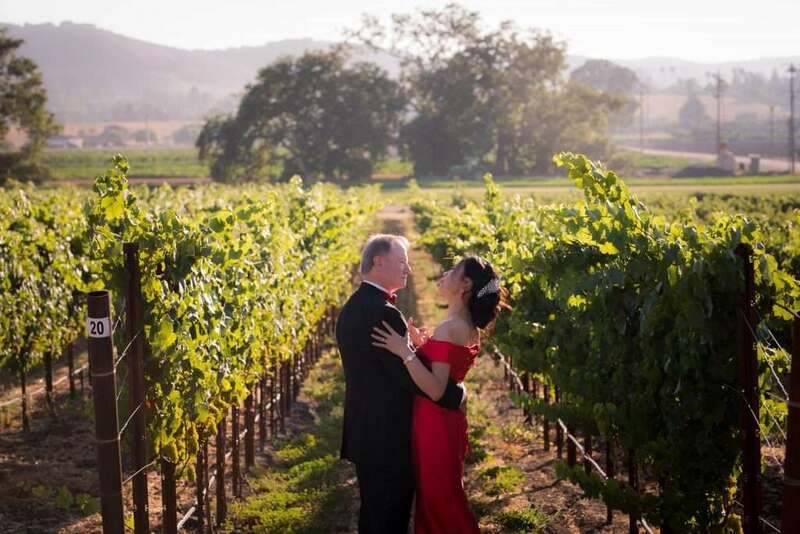 Love the feel of a vineyard wedding? 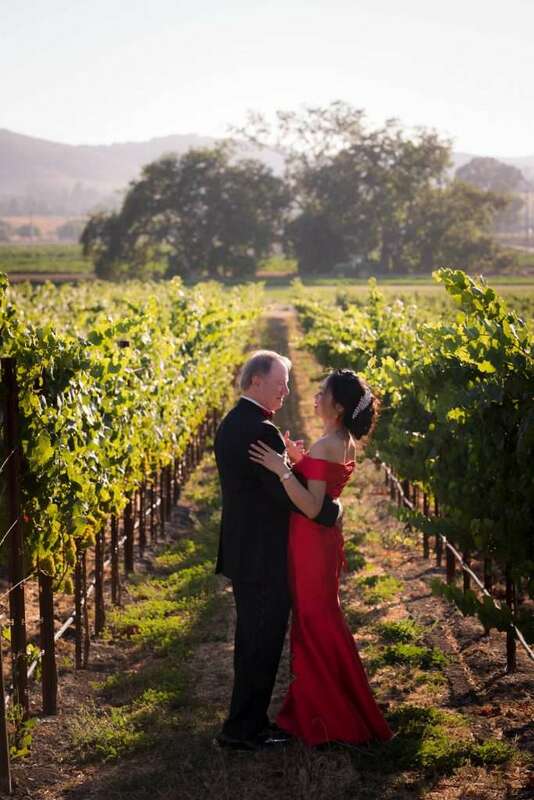 Be sure to have your photographer take you into the vineyards near golden hour for pictures. 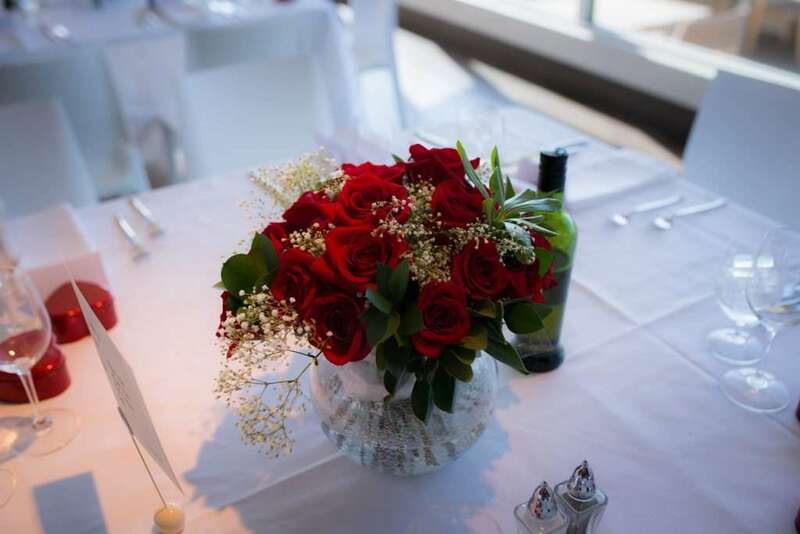 It’s very romantic and don’t forget to bring your bouquet. Scott and Li took about 10 minutes max for their golden hour photos and they have 15 beautiful photographs that a frame worthy. It doesn’t have to take too much time away from your guests and from the party.